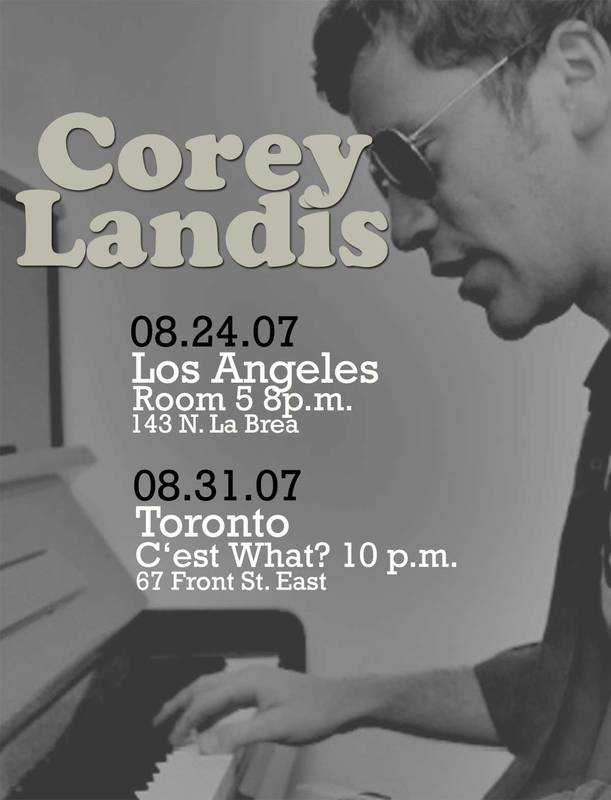 Corey Landis: L.A. and T.O. Other Landis news: in a match that seems blatantly obvious yet wonderfully apropos, Upright Citizens Brigade theater in L.A. is using Corey’s demo for See You Next Tuesday as the opening theme for their show of the same name. Go check out their great shows (some of which are FREE). The song will be re-recorded for Corey’s next record, due “around the same time Christ the Lord returns.” He said it, we supplied the gratuitous link. For now, check it out over at Corey’s site.